Because a properly-tuned, fully-Brojuvenated air conditioning lives a longer, happier life, while YOU spend less on energy bills every month. 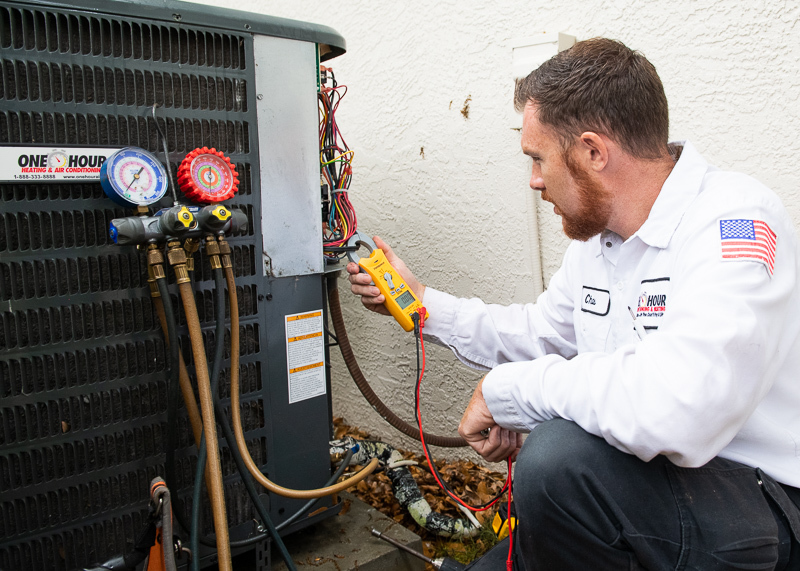 Our Complete Air Conditioning Brojuvenation (Mega Tune-Up) is so excellent we GUARANTEE no breakdowns all season (6 months) or we come back and fix it for FREE. Please note: If we discover that a component is broken or totally worn out we’ll show you, and you decide if you’d like us to fix it. If you don’t want to fix it, no problem! But we cannot guarantee it or pretend that the Brojuvenation will fix your problem. If you DO want us to repair it, then we apply the Brojuvenation cost to the repair bill and we’ll guarantee your repaired and Brojuvenated unit for a whole year! Regardless of what air conditioning service you want, you always get same prices evenings, weekends and holidays and a straightforward Upfront Price before we start the work (and our price will never “magically increase” in the middle of the job). You also get our On Time Guarantee: if our talented technician does not arrive within your scheduled one-hour appointment window, your service will be FREE. Because we’re “always on time or you don’t pay a dime!” That’s just how we roll. We are very proud of the air conditioning repairs, air conditioning maintenance, and air conditioning replacements we provide, thanks to our incredible Team of Bros Heroes! We believe you’ll feel that way, too. NOTE: our BroTECTION Plan Members get the same bill reducing, life-extending heater and air conditioner rejuvenations each year (and so much MORE) for just $17.99/mo! It pays to join The Club. If you prefer to speak with someone, you can always give us a call at (904) 240-4991. We Value Your Privacy. We Will Never Give, Sell, or Lease Your Personal Information. Period. Copyright © 2019 One Hour Air Conditioning and Heating and OneHourBros.com. All Rights Reserved.